They've got a sketch I just fell in love with! I may use it again and again! I read an article back in 2006 about stamping sentiments... with REAL alphabet stamps. lol The reason the article caught my eye was because it was about keeping the sentiment straight. Well, eight years later and I'm STILL struggling with that! Anyway, the writer wrote that if keeping a straight line was impossible to just go for the crooked look and then highlight the crooked word with color to make it important or stand out so the sentiment would appear to have been MEANT to be crooked. I thought this was a fantastic idea and since then have implemented the technique. If I could remember who wrote the article and where I read it, I'd tell you here for sure but I cannot. It was EIGHT years ago! I didn't save the article either... just filed the idea in my head. 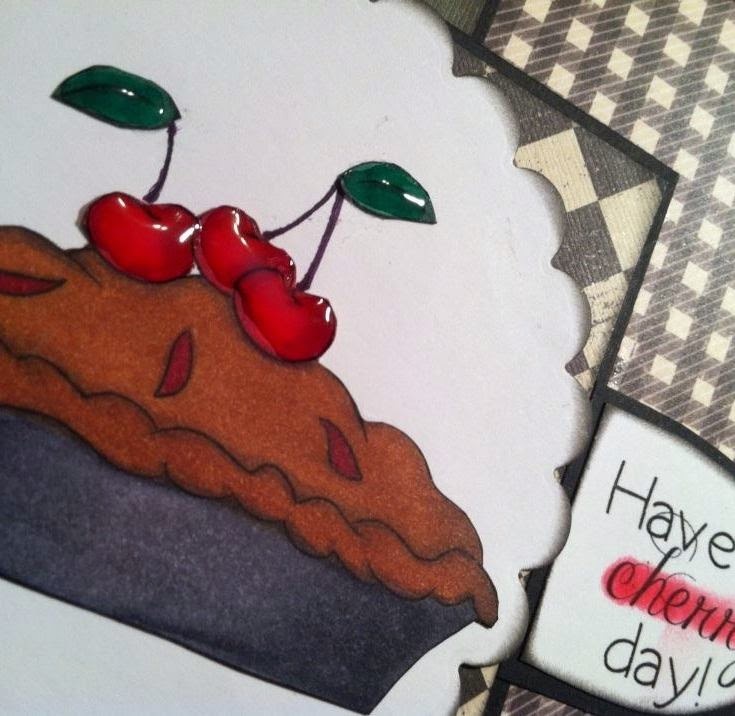 In this case, I just wanted to draw attention to "cherry" and tie it in with the red cherries on the pie... add a bit of interesting color. I am so excited about this new "progressive" challenge I found. Really! What a lovely card, its making me hungry lol. 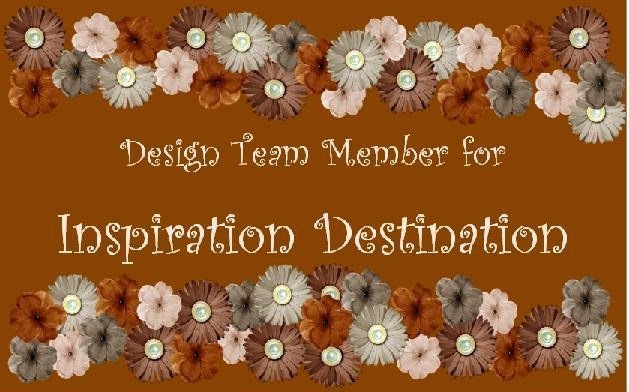 Thank you for joining us at the Kraftyhands Blog Challenge. 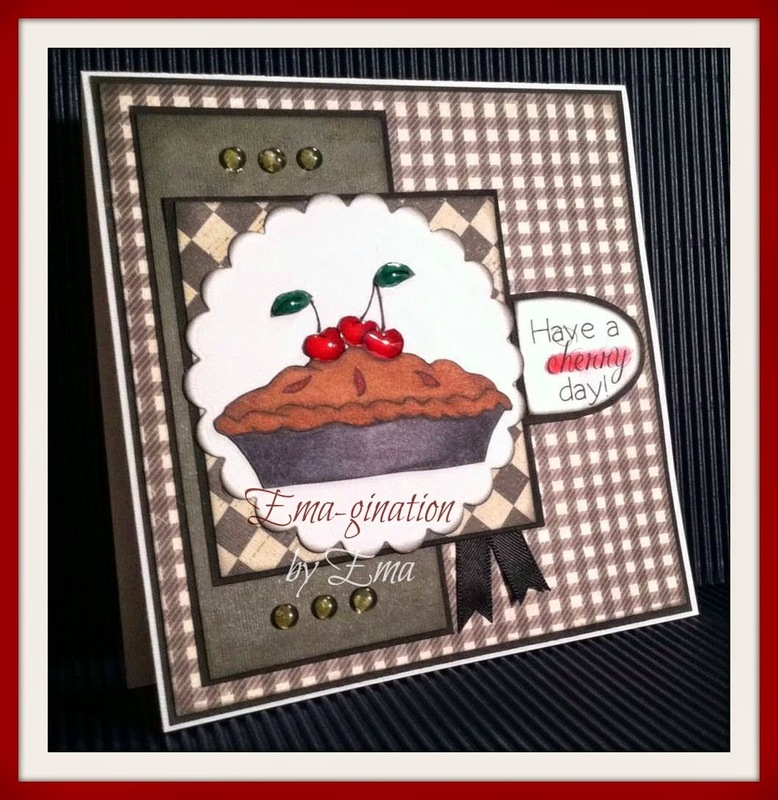 Yummy.So pleased you like the sketch.Thank you for sharing in the Kraftyhands Challenge.